We offer a FREE 15-Minute Consultation before our first session. 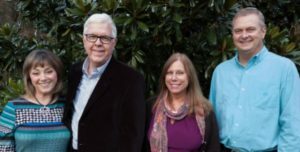 This conversation gives us all the opportunity to ask questions, learn more about problems and objectives and to candidly talk together about the ways in which Christian Counseling Associates of Raleigh can be of service. In circumstances where we collectively agree that a different practice or type of therapy is called for, we will be happy to make referral suggestions. Christian Counseling Associates of Raleigh has a variety of services available to assist our clients. In addition to regularly scheduled appointments for Couples Counseling and Individual Therapy, which can take place on weekly basis or other frequencies, we also conduct Marriage Intensives. These are approximately 20+ hours of dedicated counseling with our trained professionals spanning over 3 consecutive days. We offer Couples Intensives for individual couples and Group Intensives that accommodate three to five couples at the same time. We always customize our services for the specific challenges, needs and objectives of our clients. With several decades of collective counseling experience and a broad spectrum of techniques to draw upon, we are able to devise a plan and timeline to help couples achieve their objectives and re-establish their marriages on sound footing. Our work is based on our proprietary Connected Marriage Home© counseling model. In this approach we deal with the past, present and future of each relationship, and modify our curriculum to help each couple we serve break free from old “baggage” and destructive conflicts. We help our clients forge healthy attachment patterns for the future. We personalize each plan in conjunction with the 10 essential building blocks we have identified to create a lasting, productive marriage. We use corresponding skills and interventions for relational health, happiness and growth. Our Connected Marriage Home© model is based on an integration of Christian values, Emotion-Focused Therapy and the Gottman Method Couples Therapy. Dr. Mike’s second counseling doctorate focused on a Christian perspective of Emotion-Focused Couples Therapy and his work has also led to the creation of healthy marriage programs that have been used by many churches and organizations. Our approach has been extremely effective and is approximately 85% successful with couples involved in our counseling. As “Christian Counseling Associates,” it is fair to ask where our beliefs as followers of Jesus Christ enter into our counseling services. We are members in good standing with the American Association of Christian Counselors, as well as the North Carolina Board of Licensed Professional Counselors and have a legal, ethical and professional obligation to honor the beliefs and sensitivities of our clients. At the same time, many of our foundational skills and techniques are rooted in Christian teachings and values. One prominent example is the Golden Rule, “In everything do to others as you would have them do to you” (Matthew 7:12a). And we certainly welcome the opportunity to share our Christian testimony where it is appropriate and agreeable to our clients. However, we honor the preferences of our clients and limit our incorporation of Christian and spiritual emphasis in accordance with their comfort levels. If you have questions about our processes, our faith and how they apply to our services we encourage you to contact us by filling out the online form to the right. We welcome the opportunity to talk further.